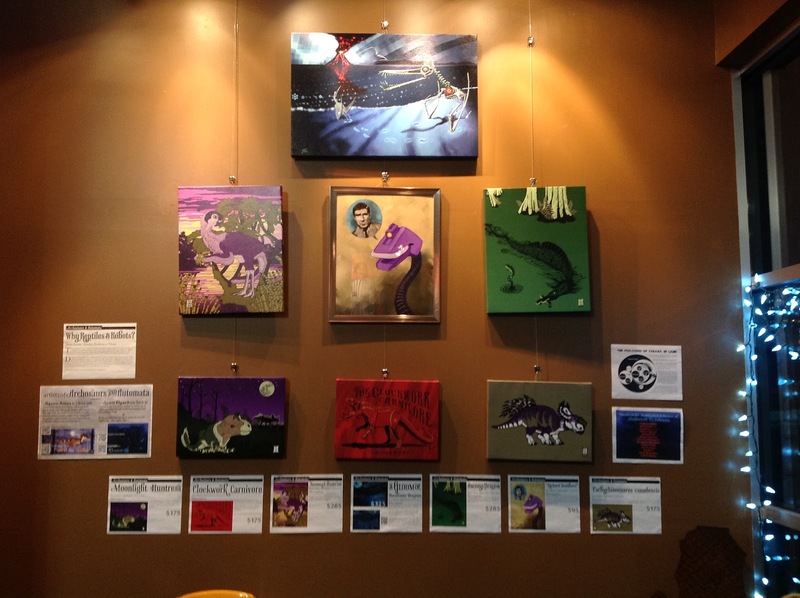 Scott has been doing his own art shows since The Dinosauria art show in 2007. When he met Raven in 2008, they began to do shows together, and have done them ever since. Work for each show includes creating teaser videos, postcards, flyers, and interaction with social media like Facebook, Google Plus, and Twitter. If you run a gallery or cafe and would like to host a show of ours, please feel free to contact us. We'd love to hear from you.